1. How does the Lincoln speed up installation? The Lincoln has a completely ‘open-gauge’ to speed up installation, so it can be adjusted on the roof, providing flexibility, without the need for complicated setting out or specialist skills. Its compatible fixings mean it can be installed to meet BS 5534 fixing requirements and NHBC technical Standards as quickly as possible. 2. Will it still rock on the batten like a traditional pantile? No, the Lincoln has a flat batten locator section on the rear. This prevents rocking on the batten and is easier to install. 3. Can I use it with a dry fix system? Yes, unlike traditional pantiles, the Lincoln has been designed to work with either our Universal dry fix range, or a wet bedded mechanical fixing system. It can also be used with our one-piece clip and nail, SoloFix, which can save up to 30% on roof clipping time. 4. Will the tiles be accepted by planning? 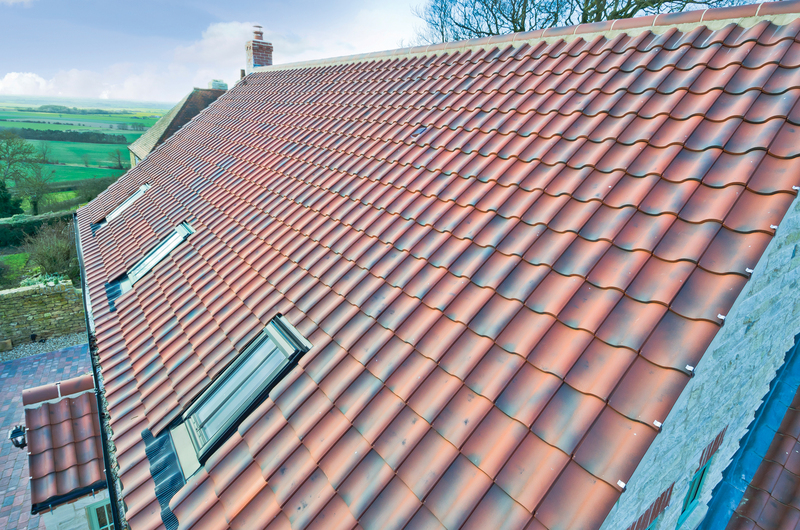 The Lincoln gives a traditional rustic pantile aesthetic, so in most cases will be accepted. SIG Design Technology’s Paul Jacobs has seen a few roofing horror stories in his time. Here are his five golden rules of flat roofing. The British Standard BS 6229:2003 code of practice describes flat roofs as having a pitch not greater than 10 degrees. The Standard also identifies minimum recommendations for designed and achieved falls e.g. 1:40 and 1:80 respectively for single ply membranes. 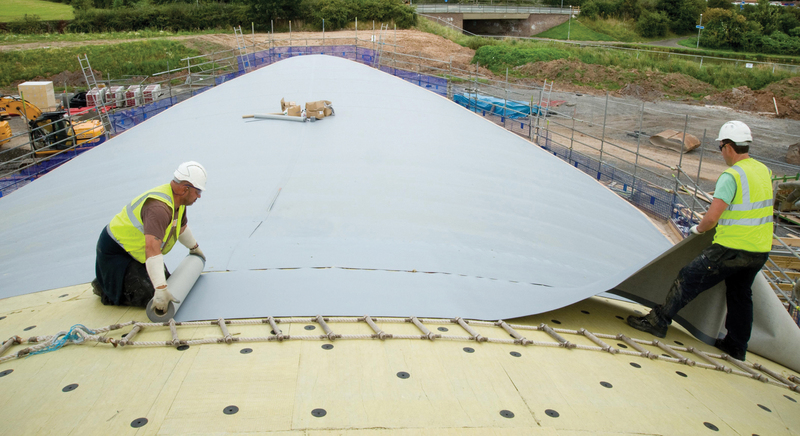 Continuity of waterproof coverings should be maintained for a vertical height of 150mm above the finished roof level at all abutments, door openings and parapets. 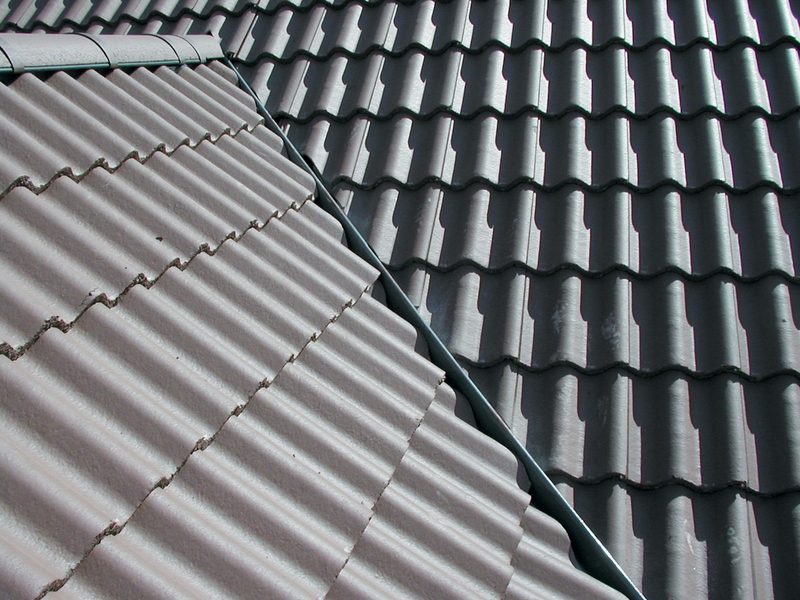 The service life of roofing systems may be significantly extended by occasional maintenance, or reduced by the lack of it. Trapped moisture in new constructions can not only lead to damage but constant call backs to a leaking roof that isn’t actually leaking. Ensure adequate night joints are created. The responsibility for checking laps, fixing centres and monitoring adhesive consumption etc. is the installer’s! When preformed GRP valley troughs first appeared, they were laid directly onto the rafters and their BBA certificates approved their use in this way. These troughs soon gained favour for all their benefits, but foot traffic damage began to occur. 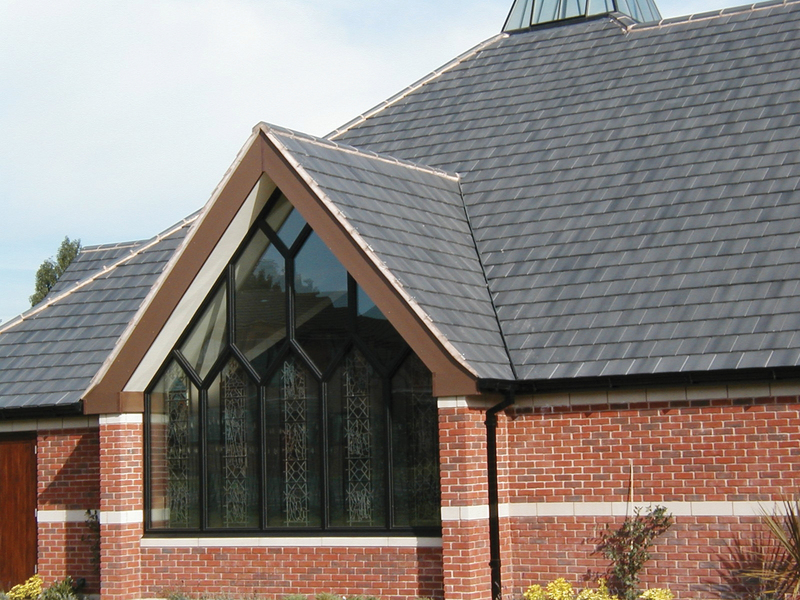 There was no Standard covering these products, so in 2002, the NFRC published Technical Bulletin 28 ‘Inclined Preformed Valley Troughs’ to provide guidance on the design and installation to meet the criteria of BS 5534-1:1997 ‘Code of practice for slating and tiling. Design’. This bulletin states that GRP valley troughs should always be fitted over valley boards and gives two methods. The first is to inset the valley boards flush with the rafters supported on bearers. The second allows for 6mm thick boards to be laid continuously over the rafters, but requires noggins fixed between rafters to support the boards and batten ends. BS 5534:2003 included the reference to the NFRC document. Accordingly, the GRP manufacturers then had to revise their designs in accordance with TB28, and to suit the change to the use of 25mm thick battens. The BBA certification requirements soon followed suit, so now all installations should include valley boards to comply with BS and BBA requirements.